In the early 90s, Harvard Business School Economist Professor Michael Porter turned conventional wisdom on its head by suggesting that environmental policies would help companies improve their competitive advantage. His theorised that strict environmental regulation encourages firms to identify technological improvements and reduce inefficiencies. This creates a motivation to innovate, which in turn enhances profits and competitiveness. However, Porter doesn’t suggest that environmental regulation can always lead to innovation or greater competitiveness. Rather that there is a need for ‘well-designed’ policies, which foster continuous improvement by not locking in one particular technology over another. So how well does the UK do? Are our environmental policies ‘well-designed’ enough to systematically foster innovation and competitiveness? Looking at the UK’s environmental policies, it is fair to say that they certainly do encourage competitiveness. Indeed, since the introduction of the Feed-in Tariff (FiT) scheme in 2010, the total number of installations of renewable technology has reached 621,195, with Solar PV accounting for nearly 99% of this result. 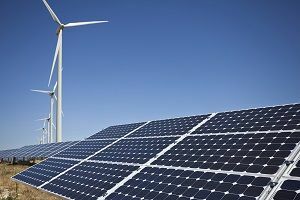 As such, the total generation capacity of all installations combined to date isapproximately 3,482 MW, which is around 14% of the UK’s current renewable electricity capacity. However, if you take a closer look at the eligibility requirements behind these schemes, they are often designed with only current environmental technologies in mind. New products entering the market are more innovative than existing technologies and therefore cannot be characterised under these policies. Furthermore, UK innovation policies and grants are largely focused on the early development to commercialisation stages of a technology. There is a lack of incentives to ensure that the product is validated and to provide independent proof of its performance. Independent third party testing is not a new idea, however, for new technologies coming onto the market; it should be considered a prerequisite. From a business perspective, it builds investor confidence by allowing decisions to be based on high quality performance data; and from a marketing perspective, test data will strengthen the product’s credibility and its market advantage. However, it is at this point that novel products often struggle. As it stands, environmental technology performance certification schemes are not fit-for-purpose. Written with existing technology in mind, the standards are often too inflexible, often under-reporting or excluding the benefits of newer, more innovative designs. As such, they are currently locking in pre-existing technologies, impacting the development of newer, more efficient technologies, which could potentially offer significant greenhouse gas (GHG) savings over existing products. The US Environmental Protection Agency (EPA) was the first organisation to change this status quo by launching the Environmental Technology Verification (ETV) Programme in 1995. The scheme would solve two problems: firstly, provide a harmonised system across the US, superseding the various regulations in each state; and secondly, deliver credible performance data to help accelerate the entrance of new environmental technologies into the market. Following its success, the programme was established in Canada two years later. “I cannot see any company developing new environmental technologies that would even attempt to approach domestic or international markets without ETV verification behind them”. The difference between ETV and other existing verification scheme is that ETV will assess each environmental technology against its own characteristics and tests on a case-by-case basis. Technology manufacturers with new products are able to demonstrate that their technology goes above and beyond the requirements of current legislation, because the verification process is flexible enough to accommodate novel designs and techniques. However, according to Sheldric, the main reason why technologies undergo ETV in Canada is due to it being a requirement by the provincial regulatory government. Whether the same requirement will be implemented by the UK government, remains to be seen and will be dependent on the success of Europe’s own pilot ETV scheme, in which the UK is an active participant. Launched in 2013 by the European Commission, EU-ETV is specifically aimed at helping SMEs enter the market quicker by independently verifying the specific performance claims of their new technology. The scheme has so far verified three environmental technologies, with high expectations that the programme will be able to match the same number of verifications achieved during the first few years of other ETV schemes, like in the Philippines and Japan. For those nations that have yet to trial the programme, it will not be long until the International Standardization Organisation (ISO) publishes a new standard on ETV and Performance Evaluation. Known as ISO 14034, it will provide the basis for mutual recognition of ETV programmes in the future. Thus a technology undergoing ETV can expect to access international markets more easily as it is “Verified Once, Accepted Everywhere”. At present, environmental policies are failing to account for novel technologies that cannot be categorised under current standards, because these technologies have limited or no proof of performance. Programmes like the ETV scheme are critical to providing this evidence and facilitating the uptake of new commercial environmental technologies within the market.